Honda has finally revealed further details about the pricing and EPA ratings for the all-new Insight sedan. The car will start at $22,830 (excluding an $895 destination charge) and will boast an estimated 55 mpg in the city, 49 mpg on the highway, and 52 mpg combined. The new hybrid will be available at three trim levels: LX, EX, and Touring, the latter starting at $28,090 and boasting a fuel economy of 51/45/48 mpg city/highway/combined. All models are motivated by a 1.5-liter DOHC i-VTEC Atkinson-cycle inline four-cylinder engine with an impressive 40.5 percent thermal efficiency. The engine is paired with two-motor hybrid system to deliver a combined 151 horsepower and 197 lb-ft of torque. The use of two motors has eliminated the need for a conventional automatic transmission. Instead, you get three driving modes—Eco, Normal, and Sport—that modify the responsiveness of the throttle and the intensity of the climate control to deliver more or less performance as you see fit. You can also modulate energy regeneration through steering wheel mounted “Deceleration Selectors,” which are essentially paddle shifters that allow you to toggle between three levels of regenerative braking performance. Clever use of this feature can help you not only maximize braking regeneration but also reduce brake wear. Standard equipment across all trims include push-button start, multi-element LED headlights, and the Honda Sensing suite of advanced safety and driver-assistive technologies. The EX gets an 8.0-inch display with Apple CarPlay and Android Auto compatibility, and the Touring gets dual-zone automatic climate control, leather seats, a satellite-linked nav system, and an eight-way power-adjustable driver’s seat. 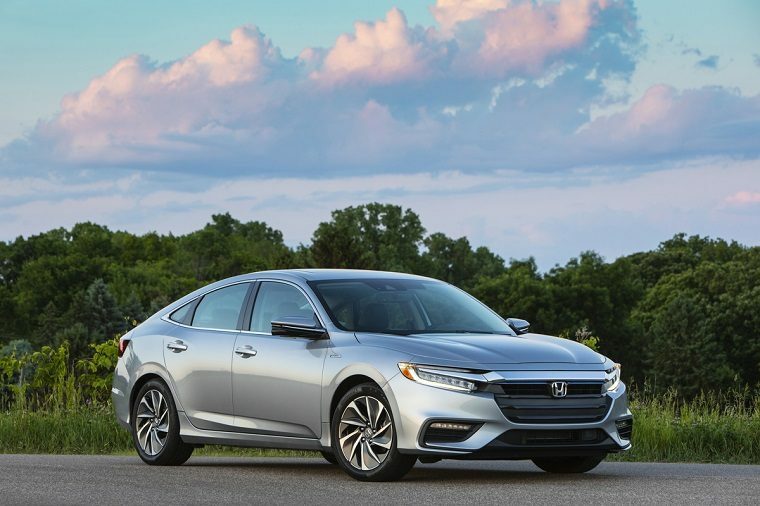 And one more thing for those who think buying Honda means they are not supporting American manufacturing: the all-new 2019 Honda Insight, alongside the Civic and CR-V, is assembled in Indiana; and the hybrid powertrain, including the battery pack, motors, and 1.5-liter engine, is produced in Ohio.